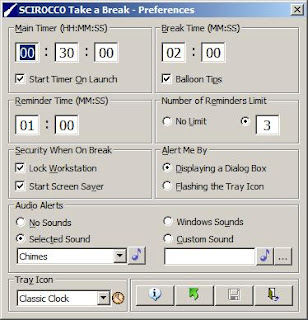 Here you can set the time period between your breaks, the length of your break time, how long it should wait before it reminds you again after you click "Remind Later", how many times to remind you, etc. Oh, I think it's better to "Lock Workstation" if you're working on sensitive data and going to leave your desk during the break. 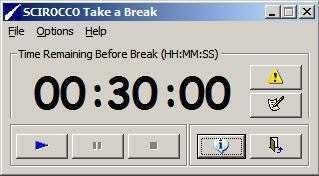 And I think it's good to "Start Timer On Launch" since you may forget to do so if you've a busy morning.